John P. Childers, Sr., 85, Indianapolis, IN, passed away on Nov 6, 2018. John was born on November 1, 1933 in Indianapolis. He spent much of his childhood in St. Vincent’s Orphanage. He was a 1952 graduate of Cathedral High School. He served as a loyal soldier in the US Army. 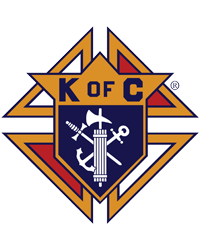 John was a proud member of the Knights of Columbus Holy Family Council Number 3682 and over the years served as Grand Knight and in many other executive positions. He was a devoted member of St. Anthony Catholic Church, where he generously gave his time through the years as Bingo Chairman, Choir Member, Festival Volunteer, Parish Council, Kickball Coach and various committees. He retired from the Indianapolis Star and News in 1996 after 36 years, where he worked as a printer and served as President of the Printers Union and various positions with the union. He spent his free time fishing, watching sports and playing golf. John is survived by his wife of 62 years; Catherine, children; John, Jr. (Carla), Joseph (Karen), Edward and grandchildren; Thomas, Scott, Austyn, Blake, Matthew (Kendelle), Riley, Emily and Hannah, and great grandson Elijah; sisters Linda and Cathy, many nieces, nephews and extended family. He was preceded in death by his son William, brothers; William, Paul, James, and Walter (Sonny), sisters; Esther, Jane, Frances, Louise, Patricia, and Barbara and foster parents Mae and William (Bill) Hughes of Bridgeport.